Germany-based duo The Glitz — made up of Andreas Henneberg and Daniel Nitsch — produce dance music that not only sounds gorgeous from a technical standpoint, but that also often evokes a physical euphoria and drive to move that can only be achieved through a delicate balance of melody, structure and technical experimentation. Back in July the duo released a track as a part of a 12" split with Mihalis Safras called "Woven," which is exemplary of this rare balance. From the track's impeccably produced bouncing lead synth to the soft and full melodic accents of piano and brass-like textures, "Woven" epitomizes all of the best characteristics of a dance single. While melodically busy, "Woven" is never overtly romantic in tonal progression; instead balanced by accents in all of the right places that only serve to make even the most uptight North American listener unable to resist the urge to dance. 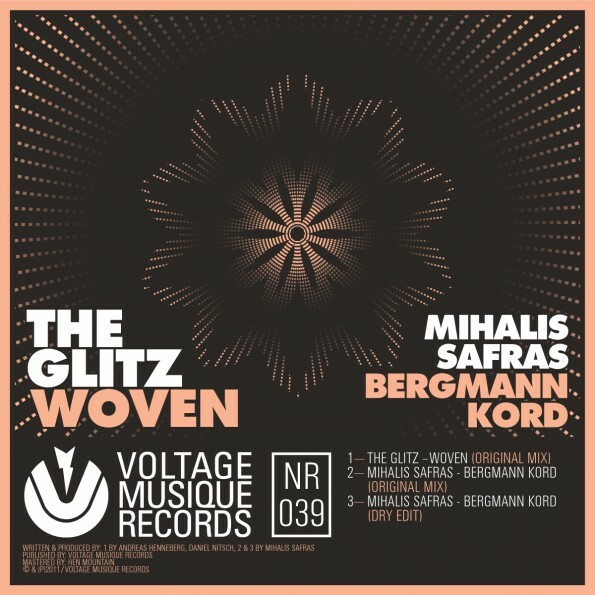 "Woven" was released through Henneberg's label, Voltage Musique; a highly recommended catalog of releases that include some tech grooves of stunning quality which are actively being released in the forward-moving German tech house scene.